A bottle of beer is only as good as its contents. However, sharp packaging can make every bottle opening a bit more like Christmas. 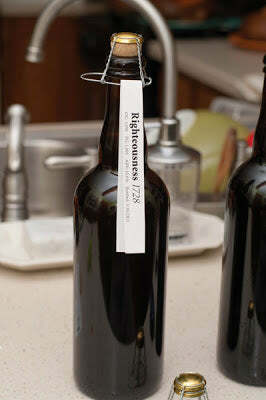 Here is a simple option that I used for my Righteousness Rye Wine, fermented with Wyeast 1728 Scottish Ale Yeast. 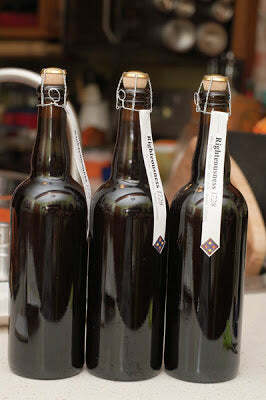 Belgian-style bottles: For the Belgian style bottles, I sanitized and filled them with the beer. I then set my portuguese floor corker to its shortest setting. 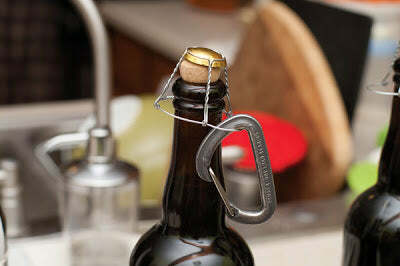 That way the corker would only push the cork partially into the bottle. 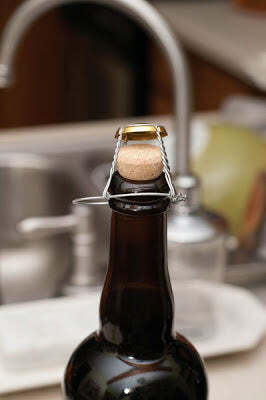 Once corked, the bottle was lightly stuck in the corker so I gently rotated and pulled the bottle down out of the corker. 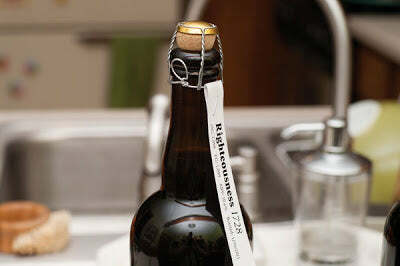 A champagne corker would aide the process of leaving the cork partially in the neck of the bottle and removing it smoothly, because that is what it is designed to do. After corking, I placed the Belgian wire bales over the corks and tightened the bales with a carabiner I had lying around. NB also sells a champagne tightener that I am sure would work better. I then cut 10 inch labels that I printed on my computer on regular printer paper. Then, I folded each label in half, ran it through the bale and stapled as near the fold as I could. 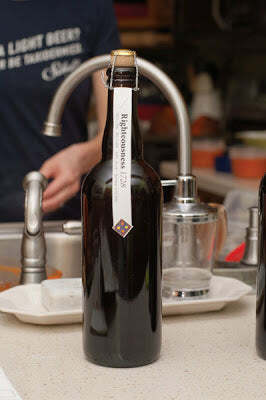 The stickers served to keep the label in place and protect it from tearing and will also help to classify it laying on its side in the cellar. The stickers I used are glossy and slightly embossed. I think the quality of the sticker will determine the quality of classiness of the final display. This packaging process was time consuming, but definitely worth it. The final product is sharp and sophisticated and begs to poured. 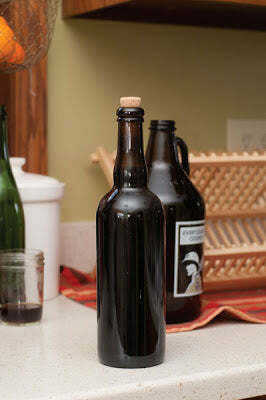 You would need approximately 25 bottles to package the full batch of beer. However I recommend getting 2 cases (24 bottles) and pouring the remaining beer into a growler to be enjoyed, flat, young and punchy. 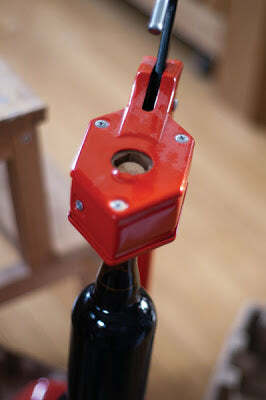 -A corker of some sort, though a floor corker will make your corking much easier and enjoyable. -Carabiner, Champagne Tightener, or something else to twist the belgian wire bale tight.